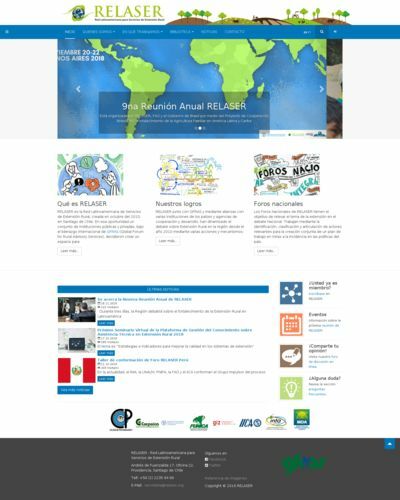 RELASER is the Latin American Rural Extension Services Network, created in October 2010, in Santiago de Chile. On that occasion, a group of public and private institutions, under the international leadership of GFRAS (Global Forum for Global Advisory Services), decided to create a space for debate about the state and current evolution of rural extension systems in Latin America, and work on its improvement. RELASER means extension "All the different activities that are carried out to provide the information and services needed and demanded by farmers and other actors in the innovation system, to help them develop their technical, organizational and management skills in order to improve their quality of life and well-being "(GFRAS, 2010).